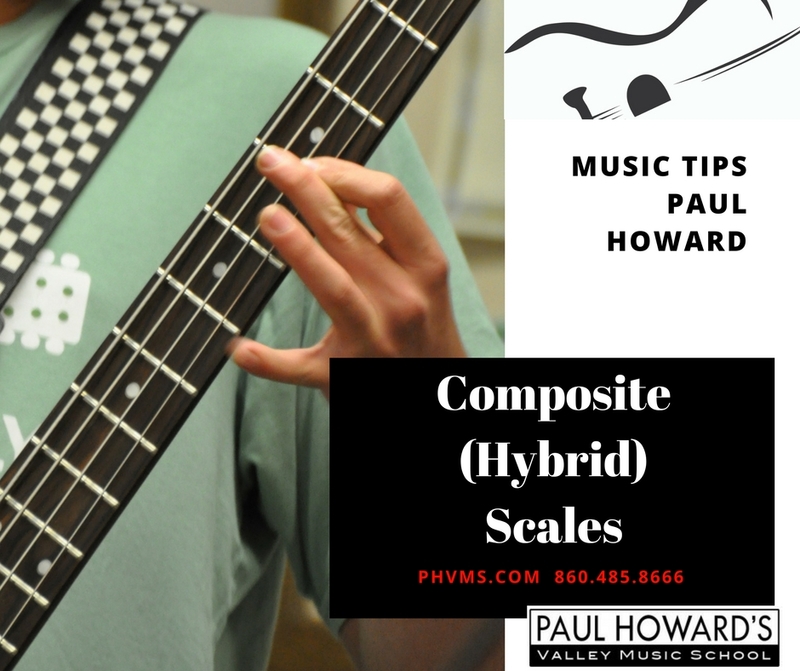 A Composite or Hybrid Scale is made by combing two different scales into one. Because of the influence of the blues on rock & jazz music, our note choices when improvising in a major or dominant key are often drawn from the both the major and the minor (or blues) pentatonic scales. 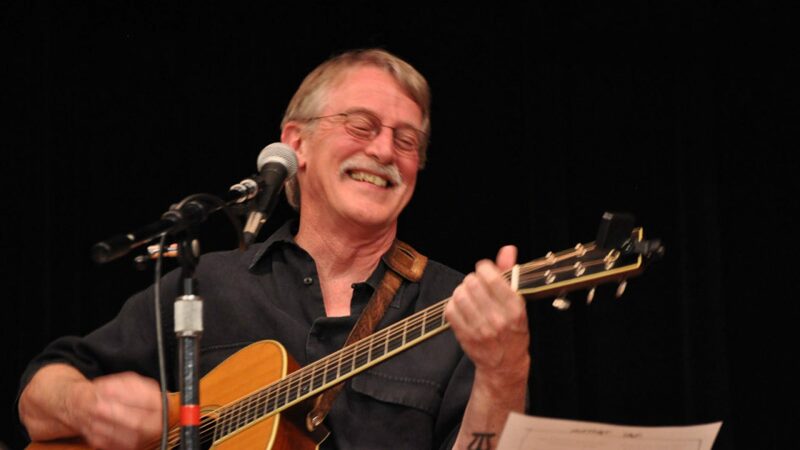 Most players do not limit themselves to a strictly major or minor approach when soloing in a major or dominant key. Rather they will lean more towards one scale and use tones from the other as passing tones. Passing tones are non-scale or non-chord tones used to connect scale or chord tones. They are usually short in duration and occur off the beat (on the & counts). Combining the major pentatonic and blues scale (including the b5) will result in a common composite scale. This is also sometimes referred to as the Swing Scale. The major pentatonic scale is composed of scale degrees 1, 2, 3, 5 & 6. The blues scale is composed of scale degrees 1, b3, 4, b5, 5 & b7. The combination of these tones creates this composite scale. 1, 2, b3, 3, 4, b5, 5, 6, b7. 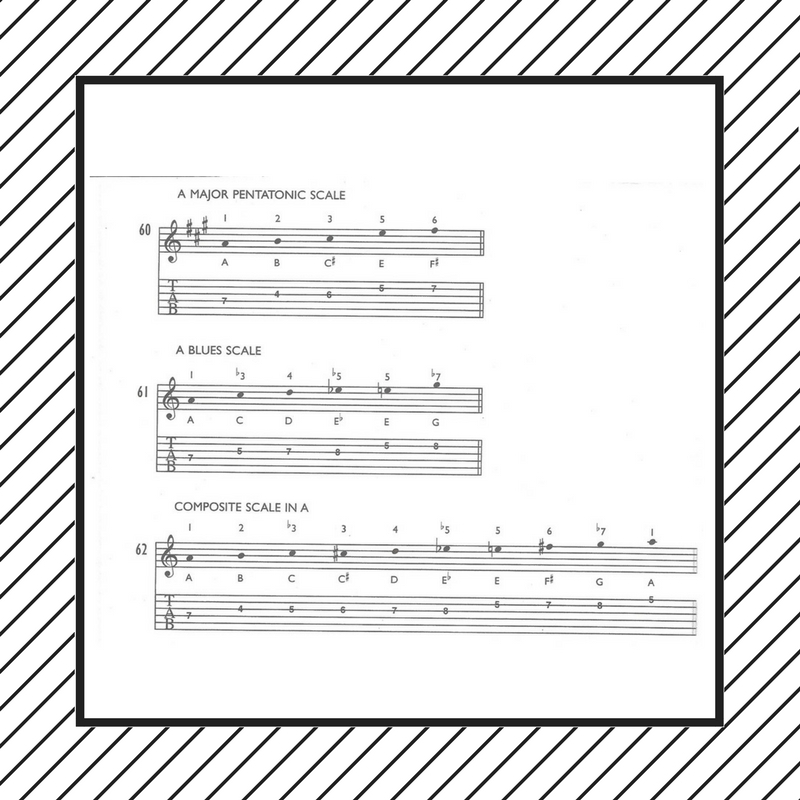 Since you have more note choices when using this scale, you must proceed a little more carefully than you would when using a strictly pentatonic approach. You will find that as the chords change, the appropriate note choices from this scale will change as well. For instance, when landing on the I chord, you will probably avoid the b3 from the blues scale and use the 3 from the major pentatonic instead. Composites such as this are usually used over major and dominant 7th chords. Excellent article Paul Howard! Thanks!